It’s my first time home for Mother’s Day in two years. What does this mean? I pamper my mom and Omi as best I can with the best of my skills. I love cooking, so when there’s an occasion to be fancy, I like to go all out for those I love. 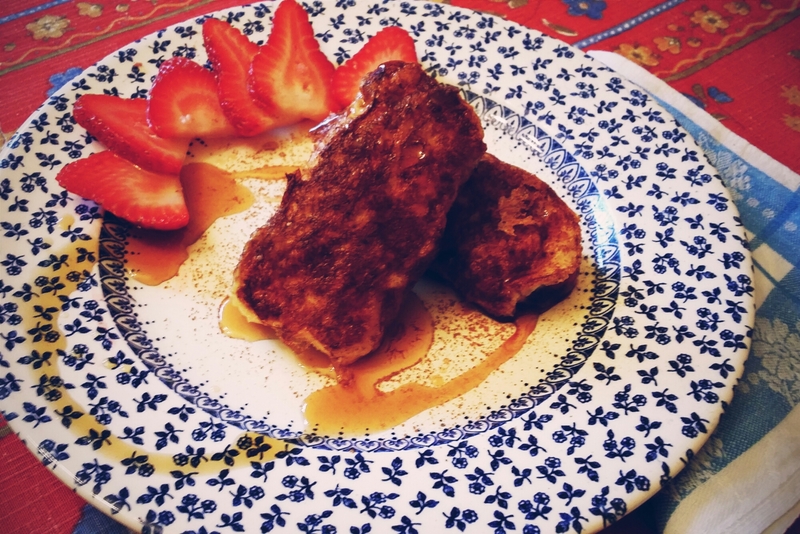 For breakfast, I tried a recipe I found online – French toast rolls filled with fresh strawberries and either cream cheese or nutella, then dusted with cinnamon and daubed in pure Quebec maple syrup. Considering it was a first try, it actually ended up being awesome. I had a very happy mom (although she wouldn’t let me post a picture of her enjoying it). Then I had my Omi and Opa over for dinner. 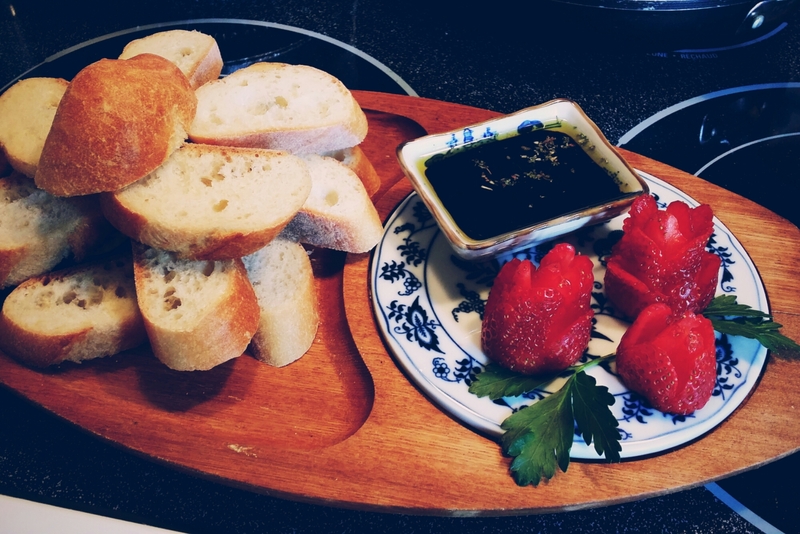 We had baguette dipped in balsamic vinegar and olive oil for appetizers, and I tried to make some strawberry roses to prettify it which ended up being a lot of fun. 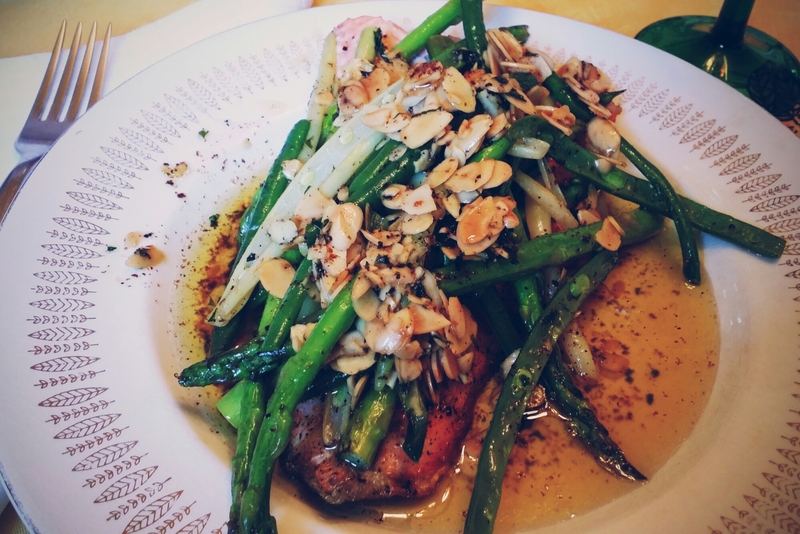 For dinner, I went a bit decadent – and in retrospect we could have done with smaller portions – but I made trout amandine. I’ve tried this one before in the UK with sea bass instead and loved it so much I deemed it worthy of the amazing moms in my life. Some pan-seared rainbow trout, frenched string beans, glazed asparagus, and butter sauce later, we were completely stuffed. It was so nice to be home for a change to actually be able to spend the time with my mom and Omi. And what’s more, have the cooking skills and confidence to actually put together a dinner for them to enjoy. So here’s to the best mom and the best Omi in the world – I love you both with all my heart. You’re some of the most amazing women I know and I’m so grateful to have you in my life. And I am grateful to have you in my life! And you are one heckuva chef!!!!!!!!!!!!!!!!!!!!!!!! Best food ever.